THE Aboitiz Group on Thursday, January 10, inked a Memorandum of Agreement with the Department of Energy and Natural Resources (DENR) and the City Government of Davao to strengthen its marine turtle or pawikan conservation efforts through establishing a Pawikan Center at the Aboitiz Cleanergy Park in Punta Dumalag, Matina Aplaya, Davao City. The center - a rescue and hatchery facility – has a temporary shelter, clinic, laboratory, observation deck, boardwalks, and other facilities for the rescue, rehabilitation, conservation, protection, and care of pawikans in Punta Dumalag. It is considered necessary and crucial for the conservation of pawikans particularly the critically endangered hawksbill turtle. “This agreement is a proof that we recognize their contribution to maintaining biodiversity in our ecosystem,” Aboitiz Power Executive Vice President and Chief Operating Officer for Distribution Group Jim Aboitiz said. With the agreement, Aboitiz will spearhead the center’s operations while the city government will assist in manpower needed to strengthen the enforcement of relevant existing laws and furnish DENR with monitoring reports. DENR, for its part, will provide technical assistance and facilitate educational campaign on pawikan conservation. 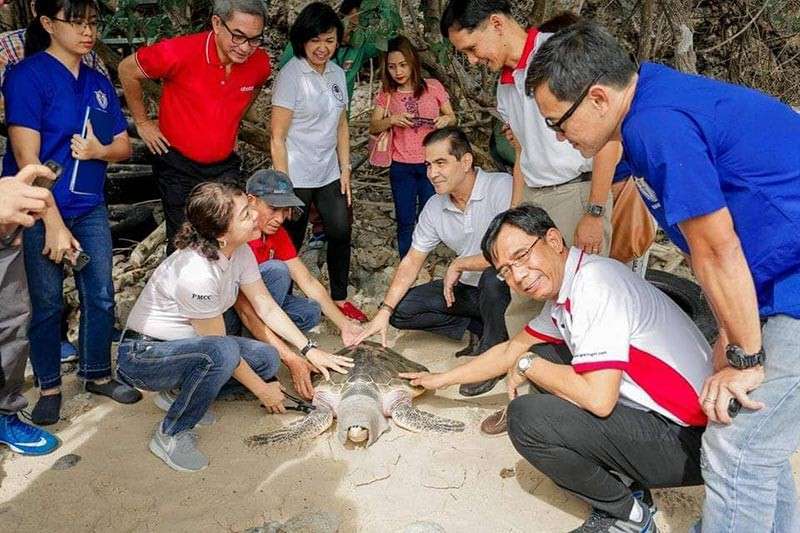 Aboitiz said that ever since the eight-hectare park was launched, it has already been taking care of wounded and rescued pawikans that will be released to the ocean when it has completely healed and it is already healthy. The agreement signed on Thursday, he said, is just their way of formalizing their endeavor. For instance, an Olive Ridley Turtle rescued from Sasa in December 2017 was released back to the ocean on Thursday. The park has presently rescued five wounded turtles, three of which have already been freed after full recovery. Since 2015, Cleanergy Park has been a home to 4,370 pawikan eggs, 3,482 hatchlings of which have been released. Davao City Mayor Sara Duterte-Carpio called on Dabawenyos to take part in this continued campaign for the pawikans. “Let’s be more conscious on what we do to our environment so that the future generation will also witness these charming little creatures,” she said. She also addressed those living nearby coastal areas to keep their surroundings clean. 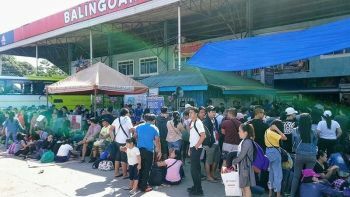 DENR- Davao region regional director and officer-in-charge assistant secretary for Eastern Mindanao Ruth M. Tawantawan, in a separate interview, said that keeping Punta Dumalag as a sanctuary is important for it serves as a nesting area for Hawksbill turtles. “Turtles are known to go back to where they’re hatched when they lay their eggs and if the area is destroyed what will happen to them?” she shared. She added common dangers involving pawikans are eating plastics in the ocean and illegal poaching. Apart from protecting the nesting areas at the park, the Pawikan Center aims to identify, document, and address threats to marine turtles and their habitats in Punta Dumalag; promote research, monitoring and information exchange; enhance public awareness on the conservation initiatives in the area; and fortify the collaboration between the public and private sectors. In 2007, the Davao City Council declared the shoreline extending 300 meters seaward in Punta Dumalag as Marine Protected Area.